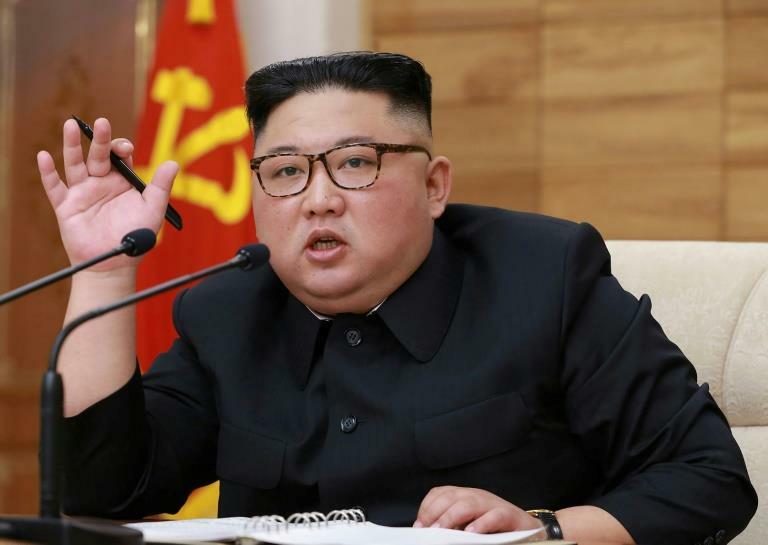 PYONGYANG, April 11 (Xinhua) -- The Democratic People's Republic of Korea (DPRK) stressed the importance of self-reliance on economic development at a party's high-level meeting, the official media Korean Central News Agency(KCNA) reported on Thursday. The 4th Plenary Meeting of the 7th Central Committee of the Workers' Party of Korea (WPK), held on Wednesday, was chaired by WPK Chairman and the top leader of the DPRK Kim Jong Un. At the meeting, Kim analyzed the changing international landscape and the acute problems facing the country at the present, as well as the main highlights of the recent DPRK-U.S. summit talks and the Party's stand towards it, according to KCNA. "He (Kim) underscored the need to more vigorously advance socialist construction by dint of self-supporting national economy suited to the specific local conditions of our country based on our efforts, technology and resources under the uplifted banner of self-reliance, so as to deal a telling blow to the hostile forces who go with bloodshot eyes miscalculating that sanctions can bring the DPRK to its knees," the KCNA said.